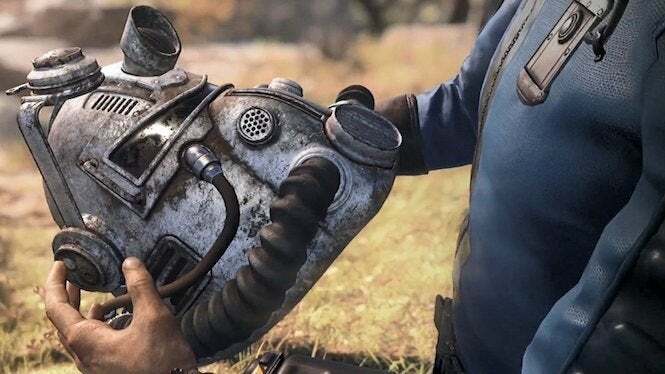 A while back, Bethesda announced that it would be launching a Fallout 76 beta — or rather, B.E.T.A., a Break It Early Test Application — before the game’s release this fall. With it, players will be able to test the game extensively and see how well it runs. But little did we realize just how much access we would have to it. According to this recently presented FAQ by Bethesda, it appears that we’ll have access to the full game once the B.E.T.A. kicks off. The question, “Is the B.E.T.A. going to be the full game and will my progress carry over to launch?” can be found at the bottom of the FAQ. So there you go! You’ll be able to test out almost every nook and cranny that the game will have to offer at launch and see if anything breaks before its release shortly afterwards. Do keep in mind, however, a couple of other things when it comes to the B.E.T.A..
First off, the only way you’ll get access to the B.E.T.A. is by pre-ordering the game. It doesn’t appear that codes are going to be given away for it, though that could change at a later time with the potential of an open beta. Now, as far as when the beta will begin, that’s anyone’s guess. However, Bethesda’s QuakeCon event will be kicking off this weekend, starting with a keynote on Friday morning. So by then, the publisher could make an announcement in terms of when we’ll be able to get our hands on the game. That’s not finalized yet, but the team does like saving big announcements for the show, so fingers crossed. Fallout 76 releases on Nov. 14 for Xbox One, PlayStation 4 and PC.